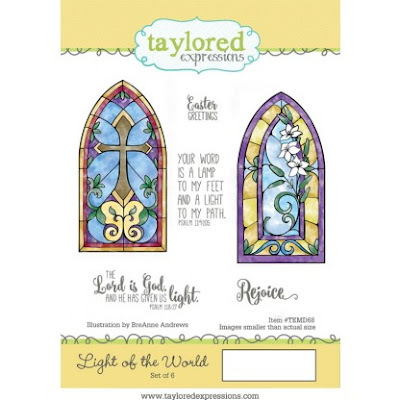 Word Art Wednesday Featuring Taylored Expressions! It is a new month and a new challenge over at Word Art Wednesday! As always it is anything goes as long as it is family friendly! There is something Special this month, Our Design Team is featuring Taylored Expressions! The team had the fun privilege of picking out stamps to feature throughout the month starting today! I have to say I love the digitals Karen Murray blesses us with each week, they are a mainstay in my correspondence! Changing things up a bit, It was fun to look at rubber while making my selection. Each style of "rubber stamp art" has it's own technique and both are used in my studio! Taylored Expression offers beautiful deeply etched red rubber cling mount stamps, they were a pleasure to use, perfect images the first time! My choice for the new march release was the set Light of the world. I love heat embossing vellum and using alcohol markers to color. 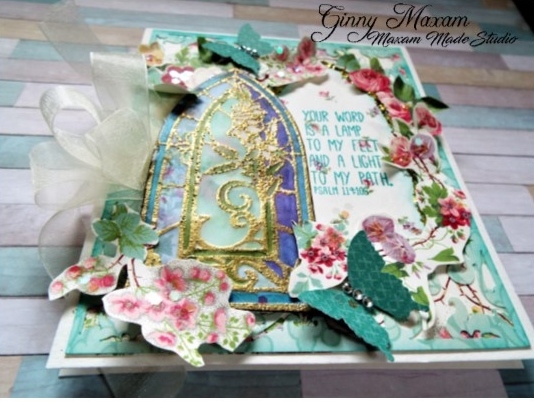 Next week I am going to show you the beautiful CAS card I made with the Redeemer Stamp, perfect at any time but how nice for Easter or Christmas , Baptisms and Conformations! Thanks for stopping by and I hope to see your card in the Linky at Word Art Wednesday! Holy WOW, Ginny, this is beautiful! 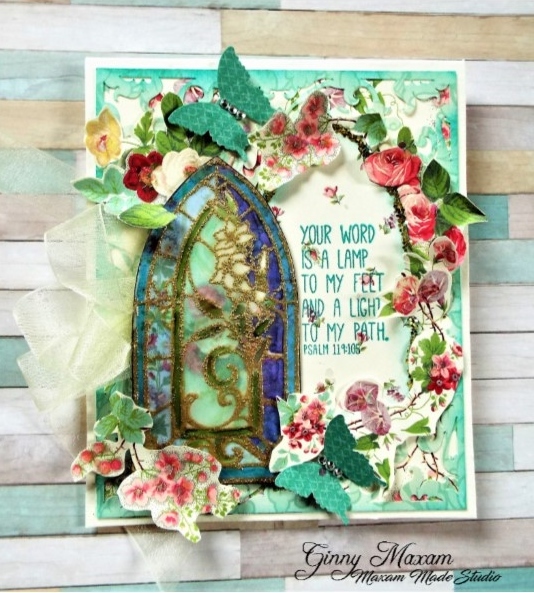 Love this arched window Ginny! Stunning! Gorgeous card! Love the bright colours with the soft ribbon and feather!